Sailor Moon is one of the most popular anime characters, playing the lead in the Japanese series by the same name. 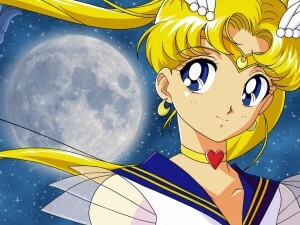 The character Usagi Tsukino later becomes Sailor Moon, and her hair style, is extremely popular with teenage girls. Even though Sailor Moon is an anime, you can get hair like Usagi if you follow the instructions in this guide. We will tell you how to style hair like her, but it’s up to you if you want to color them like her as well. You should also know that Usagi’s hairstyle is not appropriate for every event, or professionally, but it’s great for a fun event, cosplay or a gathering with friends. Moreover, for an authentic Sailor Moon hairstyle you will need to have long hair. Medium and short hair won’t do, unless you are okay with a little compromise. First you will need to color your hair blond if you don’t have naturally blond hair. However, unless you want an authentic Sailor Moon look, you don’t have to dye your hair. Moreover, if you have dark hair, it will be a lot of hassle for you to bleach them first and then dye them. Continue onwards to the styling part if you are not going to be coloring your hair blond. Washing and untangling your hair is recommended, not only for this hairstyle but for any style in general. This ensures that your locks are straight, soft and easy to style. Shampoo and condition them before drying them completely and then brush them all the way through to remove any tangles. You now need to divide your hair into two main sections, all the way from the front to the back. You can simply part your hair from the center using a comb and then gather them on each side. Take one section first (left or right) and gather all the hair at the side and the back (leave out the front, like bangs) in your hand before you start twisting. Keep twisting from the base to the tip, until the complete section is twisted like a rope. Now you need to pick a center point in the twisted section. The original Sailor Moon hairstyle has her locks flowing under her meatballs. The point you choose in your twisted section is important because all the hair under it will be flowing free. So if you want a longer pigtail in the end, choose a point closer to your head, but if you want larger meatballs (the round buns), choose a lower point. Ideally though, you should go with the center point, to balance both the bun and the pigtail. Once you have picked a point in your twisted section, make it the base, holding it with your index finger and thumb, and start rolling the hair above the section to create a bun. You will need to use both hands to do this and once the bun is created (it should stick to your head), wind it tight and secure it with an elastic hair band. Once the bun is complete, let go of the point you held with your fingers and allow your remaining hair to flow freely. The end result will be a meatball on top and hair flowing from it. Now you need to brush the hanging locks lightly, but not enough to straighten them completely. The twisting would have given them loose curls, and they are part of the look. Now that the sides are done you need to work on the front. Part the loose hair again from the middle and use hair clips to hold them in place. Just let them fall loosely on your forehead and you will be done. Congratulations, you now have a hairstyle like Sailor Moon.